The Great Game Round-Up brings you the latest newsworthy developments regarding Central Asia and the Caucasus region. A key militant leader, described as the right-hand man of the Chechen warlord Doku Umarov, was killed by special operations soldiers in a shootout in the North Caucasus, the Russian National Anti-Terrorist Committee said. Dzhamaleil Mutaliev, also known by the nickname ‘Adam,’ was killed in Nazran District of the North Caucasus Republic of Ingushetia on Tuesday. Mutaliev was believed to be a leading figure of the international terrorist group Imarat Kavkaz and the head of the region’s militant underground. According to law enforcement officials, perpetrators clearly used a tactic which is quite common in Dagestan, when the first blast is bait to attract more people and the second explosion goes off when people are at the scene, thus injuring and killing law enforcement members. The three men are “Russian citizens, arrived from Afghan-Pakistani region, where they have been trained,” the committee said. All three are said to practice Islam. Some reports suggest that the militants underwent training in Pakistan's Northern Waziristan, however, it is unknown which group they belong to. “The information about their possible involvement in the ‘Islamic movement of Uzbekistan’ is being checked. Moreover, special forces are trying to find out if there were contacts and connection with militants among Moscow regions residents,” RIA Novosti reported, citing an intelligence agency source. "Sources in law enforcement authorities told the Kommersant business daily that the suspects uncovered in the Moscow region were members of the Islamic Movement of Uzbekistan, which is viewed as a terrorist organisation by Russia and the United States." The rise of the Islamic Movement of Uzbekistan was already highlighted in last week's Great Game Round Up. Russia, predicting instability once NATO-led troops withdraw from Afghanistan by the end of next year, is considering deploying border guards on the Tajik-Afghan border, Moscow's envoy to Kabul said. Moscow, still sore from its disastrous, decade-long war in Afghanistan in the 1980s, is increasingly concerned by what it describes as the combined threat of narcotics and terrorism reaching Russia through Central Asian countries. "If the United States is successful in establishing a military base in Uzbekistan, it would entail bad political consequences, and hence play a role in destabilising not only Central Asia, but also South Asia, as the anti-US sentiment and motivation for radical Islamists could fuel a wave of militancy that could also spill over into Russia, one of the most important states in the region." "If the United States is successful in establishing a fully operational base in Uzbekistan, this would also worry China, another regional power, as it has already shown concerns over the bases surrounding it, known as the ‘ring of fire’." "Members of minority religious groups continued to experience harassment and occasional physical attacks. Violent extremism in the North Caucasus region and an influx of Central Asian migrant workers led to negative attitudes in many regions toward traditionally Muslim ethnic groups," the report said. The report failed to mention that the Islamization of Central Asia and the Caucasus is a key part of the Pentagon's Gladio B operations and that NATO and its GCC proxies are heavily engaged in grooming terrorists in that region. "I gladly invite Mr. McFaul to visit our committee. I propose to discuss operations of religious and non-profit organizations in Russia. Mr. Ambassador may receive first-hand information and discuss his concerns," Nilov's press service quoted the invitation. 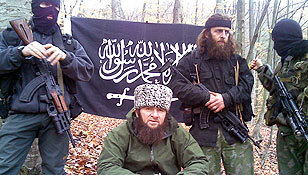 "The ways in which the role of Islamism is disseminated or increased on our territory is comparable to the way in which the West promotes its democratic values (interference in the internal affairs of other countries, use of force), and therefore it appears that further tolerance of radical movements has nothing to do with freedom of religion," Kulikov said. Kulikov believes that "Russia has no honest allies in issues relating to the prevention of aggressive Islamism." "The entire fight against terrorism in the Northern Caucasus showed that. Terrorists, ideologists, and Islamist adepts find secure shelter in countries with so-called ancient democracies, even in cases when these democracies come under terrorist attacks," Kulikov said. A businessman known for his aid work for Chechens living in Turkey was murdered in the Turkish capital, relatives claimed that Ramazan Kadirov is behind the murder. 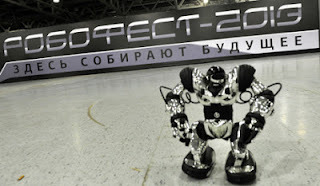 Russian experts are developing robots designed to minimize casualties in terrorist attacks and neutralize terrorists, Deputy Prime Minister Dmitry Rogozin said on Friday. Furthermore, Prime Minister Dmitry Medvedev demanded a system to monitor and control the flow of migrant workers. Russian analysts argued that immigrants and guest workers "are potentially a fertile environment for radical Islamist ideas". A Kyrgyz citizen who is a member of the Hizb ut-Tahrir extremist organization has been caught in a special effort against illegal immigrants in Alma-Ata, the press service of the city police reports. USAID’s Office of Transition Initiatives (OTI) provided the Passport Office with office equipment, furniture, and public information services for its four branches, in addition to rehabilitating and equipping the Registration Office. Together these offices serve over 250,000 citizens. Previously USAID/OTI rehabilitated Passport Offices in Nariman, Aravan and Mady districts of Osh Province. Kyrgyzstan's Osh Province borders not only the Fergana Valley and Uzbekistan but also Tajikistan and China's highly contested Xinjiang. The struggle for the Xinjiang Uyghur Autonomous Region will be discussed in an upcoming post. During the meeting, the sides noted that diplomatic relations between Kyrgyzstan and Saudi Arabia develop not only in economic, social and educational spheres, but also in terms of the culture and tourism. Evidence of this is the Days of Culture of the KSA in Kyrgyzstan, which took place from 6 to 9 May and had incredible success. The signed program provides the organization of short courses in various areas of the diplomatic sphere for the Kyrgyz diplomats, exchange of visits and views on the level of diplomatic missions in the Ministries of Foreign Affairs of the two countries, preparation to the round table to identify promising areas of cooperation between the Kyrgyz Republic and Saudi Arabia. Is the Saudi interest in Kyrgyzstan really without any ulterior motives? If recent history is an indication, we should question the House of Saud's objectives. 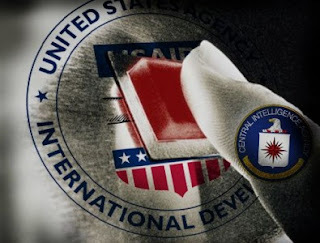 Maybe there is even a connection between the USAID's "rehabilitation" of passport offices, Saudi Arabia's involvement in Kyrgyzstan and Qatar's financing of mosques in Tajikistan. 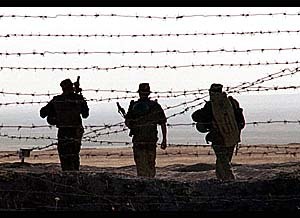 "This is not the case with the Fergana Valley, which spans Tajikistan, Kyrgyzstan and Uzbekistan. An impoverished hotbed of Islamism and drug trafficking, it may become a major source of terrorism and instability, especially after 2014, when American troops leave Afghanistan. This is where the Islamic Movement of Uzbekistan is active, the organization Kurbanov is accused of belonging to, aiding and abetting." "U.S. counterintelligence, antiterrorism and law-enforcement communities should increase their skill base to deal with the Eurasian Muslim diasporas. This includes knowledge of their history, geography, religion and politics. It also means hiring more American citizens who are native or near-native speakers of key Eurasian languages for counterterrorism jobs—subject to appropriate screening. We should also improve the tracking of travelers to Eurasia’s unstable zones such as the North Caucasus and Fergana Valley. There is no substitute for prevention. The FBI should expand its work with Eurasian Muslim communities in the U.S. to counter radical propaganda and improve early identification of potential extremists. Finally, the U.S. should expand cooperation with security services in Europe and Eurasia, while keeping in mind that, for political reasons, authoritarian regimes may sometimes falsely accuse opposition figures of extremism."